The Vancouver Inter-Cultural Orchestra’s 2018 Global Soundscapes Festival features a concert that includes my piece for santoor & string quartet, Like David’s Harp of Solemn Sound. 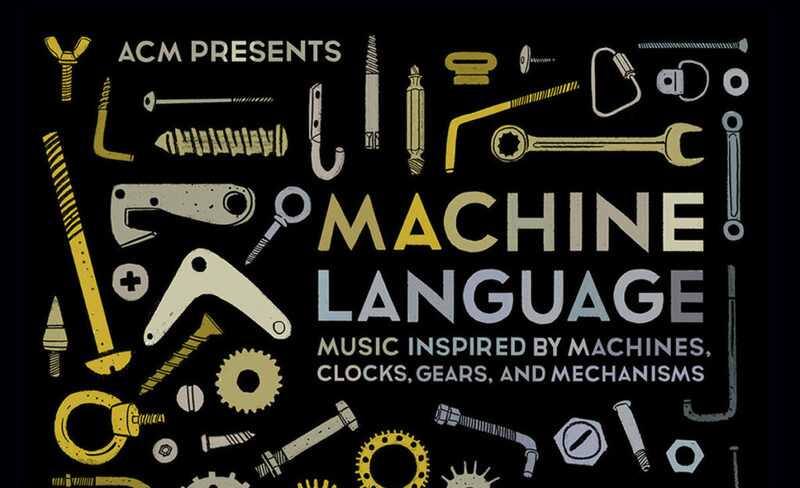 Access Contemporary Music concludes its first season of concerts at the Davis Theater with Machine Language, an evening of music inspired by machines, mechanisms, gears and toys. The concert features David Smooke’s Mechanical Birds, Annie Gosfield’s Cranks and Cactus Needles, my very own FISHER PRICE LAUGH & LEARN FUN WITH FRIENDS MUSICAL TABLE, Dan Trueman’s Machine Language and the Chicago premiere of Sculptress by Nicole Lizée. I am so excited to be able to be present for this US premiere of my piece for children’s toy and chamber ensemble! The Israeli-Iranian Music Initiative (I=I) has commissioned me to write a new work for saxophone and accordion, with financial support from the Toronto Arts Council. El Nora Alila is based on a 12th-century Judeo-Spanish liturgical poem, and will be premiered by Olivia Shortt and Michael Bridge. Alongside works by the Caution Tape Sound Collective, this concert is part of the Music Gallery’s Emergents series, curated by Chelsea Shanoff. 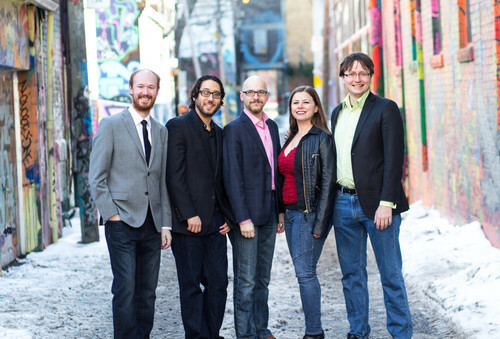 The Blythwood Winds present: HOGTOWN ROUNDUP: TORONTO GRAFFITI, four new works for wind quintet and multimedia inspired by Toronto street art. Featuring my new work Liveable Cities, inspired by the work and writings of urban activist Jane Jacobs, alongside premieres by Jason Doell, Alex Eddington, and Bekah Simms. The Bicycle Opera Project & Toy Piano Composers present: TRAVELOGUE, a series of short operas based on travel. Featuring my opera scene for tenor, baritone, and chamber ensemble, entitled Road Trip. Part of the TPC Curiosity Festival. 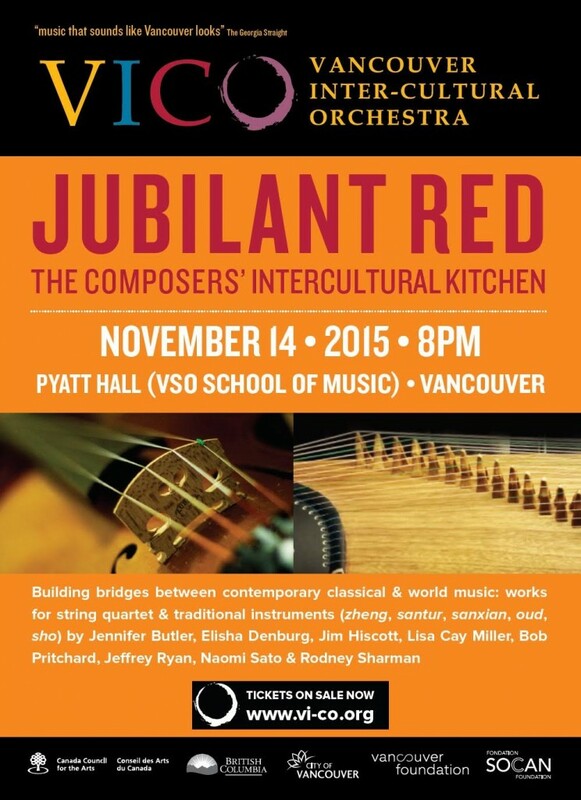 The Vancouver Inter-Cultural Orchestra presents JUBILANT RED, new Canadian works for string quartet and traditional instruments from the Middle-East and Asia. Featuring my work for santoor & string quartet, Like David’s Harp of Solemn Sound, inspired by Shape-note choral music and Biblical text. Also featuring works by Jennifer Butler, Jim Hiscott, Lisa Cay Miller, Bob Pritchard, Jeffrey Ryan (title piece), Naomi Sato, and Rodney Sharman. REGINA – a one-act opera about the first female rabbi, Regina Jonas. Conducted by Pratik Gandhi, this concert featured my world premiere for large chamber ensemble, pulse-impulse. 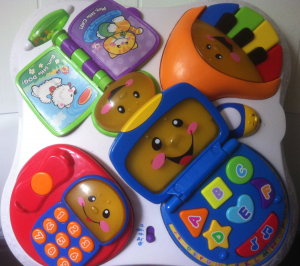 FISHER PRICE LAUGH & LEARN FUN WITH FRIENDS MUSICAL TABLE! Included a performance of my work for wind quintet and choir, “Or Chadash (A New Light)“, conducted by Dr Ryan Fisher. World premiere of my piece for children’s toy & ensemble, “Fisher Price Laugh & Learn Fun With Friends Musical Table”! Included my chamber ensemble piece “Hashiveinu“, conducted by Leah McGray. 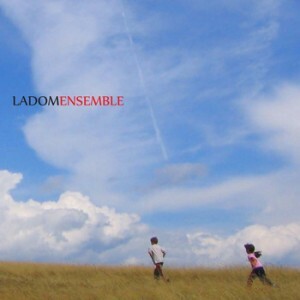 Included my piece for cello, percussion, accordion & piano, commissioned by the Ladom Ensemble, “Tango for Four“. 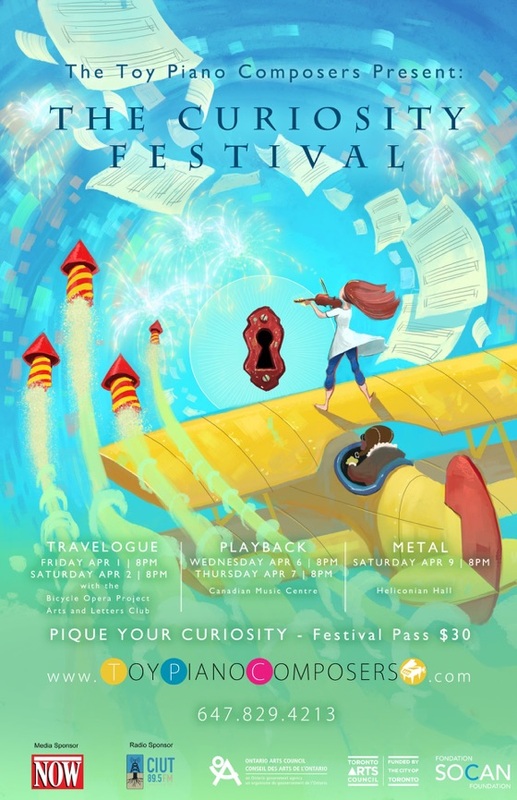 A fantastic and innovative festival in Sackville featured a new music concert of the works of composer-in-residence Monica Pearce that also included my piece for piano, toy piano and Casio keyboard called Welcome to Warp Zone! This celebratory show included my piece for piano, toy piano, and Casio keyboard, called Welcome to Warp Zone! Written especially for junctQín in 2011, the work was featured alongside other works by Canadian and international composers. Curated by Gregory Oh, this music festival in Kitchener featured two performances of my works, including Welcome to Warp Zone! (piano, toy piano, Casio keyboard) performed by junctQín keyboard collective on June 6 as part of their event RETHINK KEYBOARD. 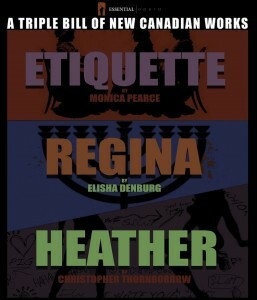 ETIQUETTE/REGINA/HEATHER: a triple-bill of new Canadian chamber operas by myself, Monica Pearce and Chris Thornborrow. This afternoon concert included a performance of my wind quintet Extensions, dedicated to the Toronto-based ensemble Blythwood Winds. Conductor Pratik Gandhi led the chamber players from Burlington’s Symphony on the Bay in a concert that included my wind octet, Petite Musette. The Thin Edge New Music Collective commissioned me to write a new work for their spring concert, which featured GREX vocal ensemble. The text is Rudyard Kipling’s iconic Just So Stories, adapted and set for vocal octet + chamber ensemble. Thanks all for a great performance! 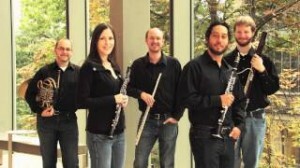 Blythwood Winds, a Toronto-based wind quintet, presented a diverse program of music from the 20th and 21st centuries, including a piece I have dedicated to them, titled Extensions. Continuing collaborations with these amazing performers, I am thrilled to have had harpist Angela Schwarzkopf and Dan Morphy perform my Sonatina for Vibraphone & Harp. Angela joined the TPC Ensemble for the final concert of our 5th-anniversary season! The show featured brand-new works by the Toy Piano Composers. Toronto opera company Essential Opera commissioned me to write a one-act chamber opera, with an original libretto by local playwright Maya Rabinovitch. The opera is based on the true story of Regina Jonas, the world’s first female rabbi. It was premiered alongside two other one-acts, by Monica Pearce and Chris Thornborrow. I am delighted and honoured to have been chosen as the winner of this year’s Halifax Camerata New Song Competition! I will be writing a newly-commissioned work for this choir, to be premiered at their Saints & Legends concerts in late February/early March. Thanks to Jeff Joudrey and the Camerata Singers! 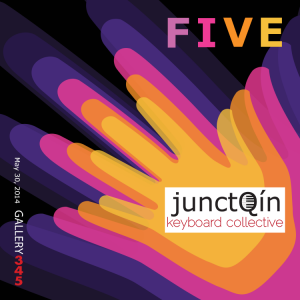 The Toy Piano Composers celebrated its fifth anniversary with re-imaginings of our favourite TPC works from the past five years, featuring the TPC Ensemble and junctQín keyboard collective, who performed my piece for two toy pianos, The Sinister Music Box. I was delighted and honoured to have been chosen as one of the finalists for Pax Christi Chorale’s Great Canadian Hymn Competition II! My shape-note hymn, Palmerston, was be performed by PCC alongside other new Canadian hymns, in a choral concert hosted by mezzo-soprano Catherine Robbin. This final installment of the CMC 13th-St Winery Piano Series included my opera scene for soprano and piano, The Hipster Grifter (Maureen Batt, soprano; Wesley Shen, piano). It also featured other short opera scenes by members of the Toy Piano Composers. These two groups joined together to give the world premiere of my new percussion octet, Four By Four, written for Sundanese Gamelan and other percussion. The Toy Piano Composers and I were very excited to have collaborated with Montreal’s Ensemble Paramirabo, a remarkable young quintet dedicated to performing cutting edge music of today. The threshold concert series included the world premiere of my quintet, Rondo, and was performed in Banff, Regina, Hamilton, Toronto, and Montréal. Members of the venerated Array Ensemble reprised their performance of works by the Toy Piano Composers, including my work Liaison for chamber ensemble. Part of the free noon-hour series at the Richard Bradshaw Amphitheatre.